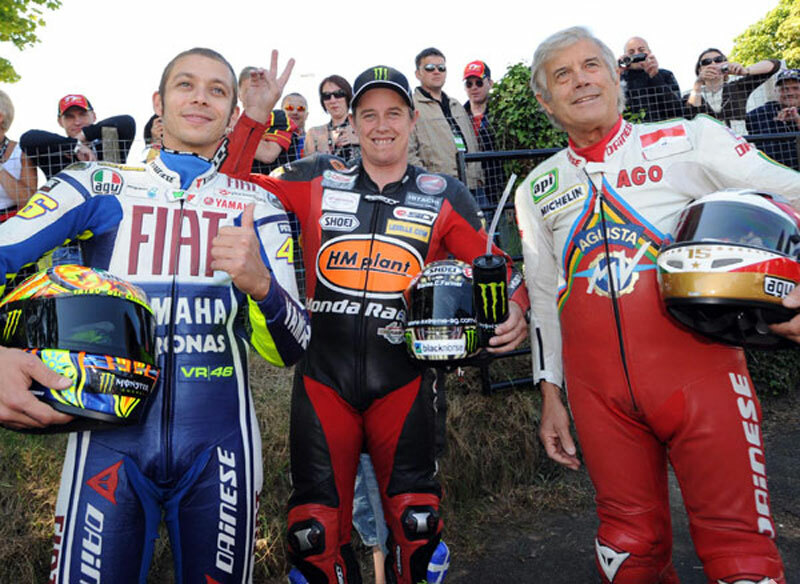 TT hero John McGuinness is joined by multiple World Champions Giacomo Agostini and Valentino Rossi at the 2009 Isle of Man TT. Ago and Rossi met the HM Plant Honda rider after his victory in the Superbike race at TT 2009, just before setting off on their history-making lap of the Mountain course. This striking picture of three of motorcycle racing’s biggest names was captured by renowned road racing photographer Stephen Davison.